Cauthan from Cauthan Reviews not long ago nominated me for the sunshine blogger award. If I can remember this award means a blog who brings sunshine, new life into the community…. jokes I can’t remember. Let’s assume it is, that’s what I think anyway thankyou for the nomination my friend and can’t wait to have some fun with this whole post. 1. What show or movie are you most looking forward to next seeing? Apart from being a anime fanatic, I am a disney fanatic next to this. There are numerous disney titles already getting live actions, some should not be touched but an exception to the announcement of Beauty and Beast getting one. I’m not usually one that is picky when it comes to the casting choices to films but for this one, I was so glad Emma Watson was chosen to play Belle. The hype for her to be chosen was high among any disney fans, I feel her resemblance to Belle from the animated version is nearly matching and her poise, intellectual attitude make her a great choice for Belle. This is my opinion though but from when I watched the first trailer my anticipation to see this was heighten. The last experience I had regarding this question was with a Mecha show, Stardriver. My old friend always bought any anime, this was a random buy at the time, I could not get into it when we both first watched it. I got up to episode 5 and I was done, the plot outlook was not clear and was just confused. It was some years before I watched this series again, 2015 decided to give it another shot. I had a much clearer judgement and different mindset when it came to anime from the first time seeing the show. Watching it a second time around fully completed it, this time around I was able to see how colorful and dazzling the animation was and amusing characters. I won’t lie it’s not one of the easiest mecha shows to follow but it’s crazy, confusing good watch for me anyway it was. 3. What’s your favorite underrated anime? What show deserves far more recognition than it currently has? One that deserves more recognition is weird samurai world this is Samurai Seven. It’s been sometime since I have seen this series but I’ve re watched it four times. Tells the tale of seven stranger samurai gathered together by farmers who want to rebel against mecha bandits Nobuseri. What I enjoyed most about this series was the plot, mecha mixed with samurai in a interesting concept. Farmers who hire these Samurai can only offer them Rice as payment as food is hard to get by enough. For their own reasons accepting the farmers offer is really humbling and their fight against the Nobuseri is one memorable and inspiring to watch. I love this Samuari series a lot, it’s a tragic struggle but I always find myself returning to this series, no matter if it makes me cry. 4. Do you have a favorite actor, voice actor, or seiyuu? If so, who? One of my favourite Actresses is Keira Knightley, first time seeing her in the film Pride and Prejudice had me hooked on her. Her poise, english manner for time period roles from films Duchess, Pirate of the Caribbean make her acting skills shine, she is truly in her element. 5. You’re dreadfully thirsty – what’s your perfect thirst quencher? Lemon Lime Bitters hands down. most refreshing drink to have in summer !! 6. What’s your favorite Opening (OP) or Ending (ED) sequence in anime? An opening sequence that’s been a long running favourite, strangely enough is the Full Metal Panic Fumoffu Opening. Every time this song plays, I just end up visualizing the whole sequence in my head. I love this song, it’s relaxing and the scenes have this tranquil flow to them. 7. Who or what is your favorite antagonist? I don’t have one because I’ve never thougt about this sorry. 8. What’s a key feature of a show that you look for to determine whether you like it or not? Key feature when I’m watching a new show is each character has their own seperate screen time. For example from watching Haikyu I was able to connect with the characters easily. so being able to connect with the characters is a key feature for me. 9. What is one thing you wish you could change about your favorite show or movie? Haha going back to Pride and Prejudice, one thing I would change about this film was the ending. The last few ending scenes where Elizabeth and Darcy are touching foreheads and GOD DAM THEY SHOULD HAVE KISSED and they didn’t. Also would have been nice to see him to propose to her, he does end up asking her but you don’t see that scene. Just frustrates me so much still to this day. 10. What was your favorite anime that aired this year (2016)? Need I say more AMANCHU !! 11. What are you looking forward to in 2017? Being more active on my youtube !! Senshi Ani Girls podcast growing !! Dam you forget these award responses take a while I’m gunna be lazy and nominate 5 people because currently in a lazy mood. AllHailHaruhi – I respect her raw honesty in all of her posts and find her inspiring to me. 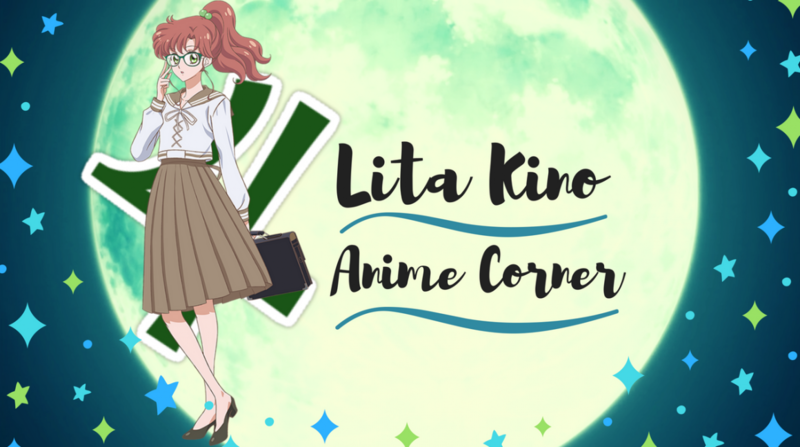 Shoujo Thoughts – The name of their blog attracted me, you know shoujo and very enjoyable to have a discussion with. PlainPasta – Again their blog name reeled me in to check them out, they are in the aussie land and enjoy reading their posts a lot. 1. How have you found blogging so far for yourselves? 2. What is your favourite anime genre you know you can watch over and over? 3. If you could have any anime character as your boyfriend/girlfriend who would it be? and why? 4. A bad habit you have? 6. What’s another hobby you like to do besides blogging? 7. What’s an embarrassing moment you’ve had in your life? 8. Whats your opinion of how anime is now compared to back in 2000? 9. Whats a manga you love and connected with easily? 10. What kind of people annoy you? Thankyou once again for the nomination Cauthan it was fun to do one of these again but they can be time consuming. Feel free to respond to my questions nominees in all the name of fun. Awesome answers. I think my sister will be looking forward to Beauty and the Beast and she also loves the movie Pride and Prejudice. First Tuesday after release, I am going to see Beauty and the Beast. (Because Tuesday is cheap tickets and food day.) Sounds like it’s going to be better than Cinderella. There’s a Beauty and the Beast movie? I really have been living under a rock. I’m curious about this one, especially after knowing that it stars Emma. Aww thankyou hehe 😊 really ??? You had no idea 😳 now you do !!! Glad you had fun with the questions. I think there might be something to your Star Driver mention. I watched it with a friend a while ago before I had much of an eye for animation and while I didn’t much care for it, I’m really blown away by its visuals whenever I see them now days. Might be deserving of a rewatch sometime in the future. There’s definitely some truth to what you say about Haikyuu. It’s a show that’s really dependent on its team atmosphere and dynamic and so having all those individual moments that allow you to piece together that atmosphere character by character yourself makes each team more interesting.